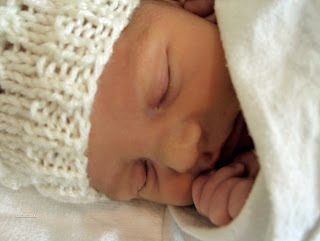 Eighteen months later, our little Max was born. Oh, that feeling...that same, familiar, overwhelming feeling of pure bliss as I held my second born miracle. But, even though giving birth to them evoked very similar emotions, bringing them home was quite different. Jack came home to two new parents who were just learning the ropes of mother and fatherhood. But, we could give him all of our attention, and did. Max was born a brother. He always had to share us with Jack...and learned early on that he had to be patient for feedings, diaper changes, and attention. I've been wondering...what will it be like with three? Obviously, our little bean is coming into a family of four, and will have to share his/her Mommy (and Daddy) with two older brothers. But, will it be a lot different than it was with Max? What is the difference between having two and having three? I have three and the third one was easy for me. I remember feeling overwhelmed when I had my second, wondering how I would handle another child. When Andy (my 3rd) was born, I was much more laid back about things and I really think I had learned better how to enjoy that baby time because it passes so quickly. I think my other 2 were already used to sharing our attention so that helped too. You'll do great with 3! I agree with Mari. Number 3 was just another one in the line up for bathtime, lunchtime, etc. I didn't think it was a big adjustment. I guess it depends on how much you rely on dh to help out. My hubby isn't a big hands on guy with the kids when they are little so I had already conquered the "mom is out-numbered" fact when baby number 2 came along. I am sure you will do GREAT! Can't wait to read the comments on this one. I once had a dad from a Mega-family tell me that it gets easy after number 4. They have 9. Can't even imagine! i, too, think you'll do great! As strange as it seems, other than trips to the mall, having three has been so much easier than having two. I was *so* overwhelmed when Anna came home not understanding how to juggle everything. But with Lily, she just snuggled her way into the family. My only regret is not having as much one-on-one time with her. That was heart-breaking at first - feeling like she was getting jipped (?spell), but I've carved out little niches of time for her throughout the day now, so I've adjusted more to it. The other thing is it is so completely awesome to see the girls try to include her in their play. Just this morning Anna was giving Lily toys that she could shake just to make her laugh - and then Anna would laugh and exclaim "Lily is so silly, Mommy!" One of those moments that makes your heart smile. I'll close the novel, but I know you're going to handle it just fine! Jack will lead the new little one into all kinds of mischief (and fun!) and then Max can cuddle him/her with his tender heart! For me, three was the biggest adjustment. My first two are almost 4 1/2 years apart - Morgan was really like a second mom to Landon. Mauryn was by far my easiest baby and that was truly a blessing. I couldn't imagine if she had been a fussy baby. I know many have said once you can do three you can have 6, it doesn't matter after three. I think part of the adjustment was that we were homeschooling, so trying to balance the home stuff and schooling with a new baby was a bit trying. My kids did great with the baby and were a big help. Life with three kids is wonderful and each is a blessing. You will do wonderfully! Your boys will big great helpers and they have each other to play with and keep entertained. The boys' baby pictures are just precious! 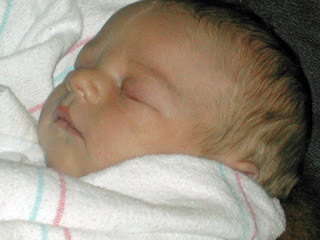 Oh those moments of bringing home the new baby - there is just nothing quite like it. bathtime as play time (while mommy supervises "for sure" ;-)), having the house become a playground for your own sanity,not feeling like everything has to be perfect, not feeling like you have to go anywhere, feeling free to feel like you dont have to have it "all together" and knowing that it is perfectly "ok" because you have 3 babies at once! (By the way, all these benefits are just increased with # 4....so just keep going!!) LOL! fight ;-) "independently" while mommy fusses over her new addition. Basically, you will have more love then ever before, you will feel tired, you will feel a bit sad at times that the boys dont get all your attention (like before)....but, at the same time....you will be teaching them the value of "sacrifice" and servant love. Then your sadness will turn to joy as you notice your boys coming to realize and understand that they too have a special place in their hearts for your new bean! They will join into the family effort of caring for him/her. Your family will start feeling like a team more than ever before!! Oh, and "the most important thing" daddy will be having lots of male bonding time with those boys so mommy can rest with the wee one! YEah!!! I cant wait to meet that precious gift! The pictures are so gorgeous. I can just feel that furry skin and smell that baby smell... can you BELIEVE that you have another one waiting to come out? It's always so shocking to see that whole person come out, isn't it? My third had a 5 year gap between him and his sister, plus he's the only boy, so that has made it harder. He is definitely the BABY of the family and has managed to get away with far more than the other 2 did. He was also the most high-maintenance one of the three. You're smart to have them all close together - it may be harder up front, but in another year or so, it will have huge paybacks!!! The first one was the overall hardest, though, for me. Once you've established your identity as "Mommy" I think it's all downhill from there! :) It's called "Growing Up." YOu've gotten a lot of great advice so far, but I'll share some of my thoughts. For me, going from 0 to 1 was the hardest. Both hubby and I are the babies in our families - so we never took care of younger siblings. 1 to 2 was an easy adjustment. It wasn't hard for me to gather up the extra stuff I needed for one more. 2 to 3 was harder - but for me. In terms of getting out of the house with 3 - its much easier now, of course. It took quite a few months til I would run errands with all 3. I usually saved most errands for the evenings or weekend. When we brought Colin home, both kids were interested, but were so used to playing with each other, that they continued to do so. I remember we had a lot of movies and tv those first few weeks/months. I wondered if they'd ever be able to break the habit, but once spring/summer came, we got back outside and they forgot about it. I think three is fun and I know you will be an awesome mommy of 3! The baby pictures are precious! yeah, the third was easy for us too--Zach had non stop entertainment--he probably got more attention than either of the others; whenever he let out a peep JJ and Audrey would run over to make funny faces and give kisses; now he follows them around everywhere;and they're in his room in the morning as soon as they hear him start to babble. It's cute. it got hard at times in the beginning because there were two people who could go and get into something and make messes when I was nursing Zach and when we're out now it's a little more crazy because there are more kids than parents. but mostly it's fun. Like many here, I have found the third one easier for the most part. They are just another one in line for the things mommy is already doing. My older two get along so well (most days...) and that made it nice. It has securely bonded them so wonderfully. BUT, the neatest thing has been seeing the beautiful bond of D and K. I think since she is 4 years older than him, she has gravitated toward him in a loving way. (T has a harder time...that is just being a 3 year old) D and K can play for an hour alone in the room. I cried reading Johanna's comment and just say AMEN to that. Well said! It was harder to get out - like Leigh Ann said, but you just give yourself more time and if you are like me (which I think you are), you just do it...cause you need it. I remember coming home (girls were at grandma's) and it was blissful. There wasn't fear or exhaustion (like time 1) and there wasn't nervousness about multiple kids (like time 2). It just felt good - right - and we were so excited. Can't wait to see another cutie pie baby pic - this time of the newest bean! First off, you have beautiful babies. Secondly, don't ask me about child #3. She had been a life changer for all of us since the beginning. Someday I'll tell you all about it. Let's just say it's a good thing I still have a mind cuz for awhile there I thought I'd lost it. HEHE.... She was and is worth every minute of insanity. Now the gray hair part is questionable. We have four children, and I can honestly say that #3 and #4 were our easiest babies. They just seemed to ease into our lives and fit right in. We weren't the nervous "by the book" parents that we were with #1 and #2. Yes, we were busier and had more to keep up with, but, I just remember it being easier. 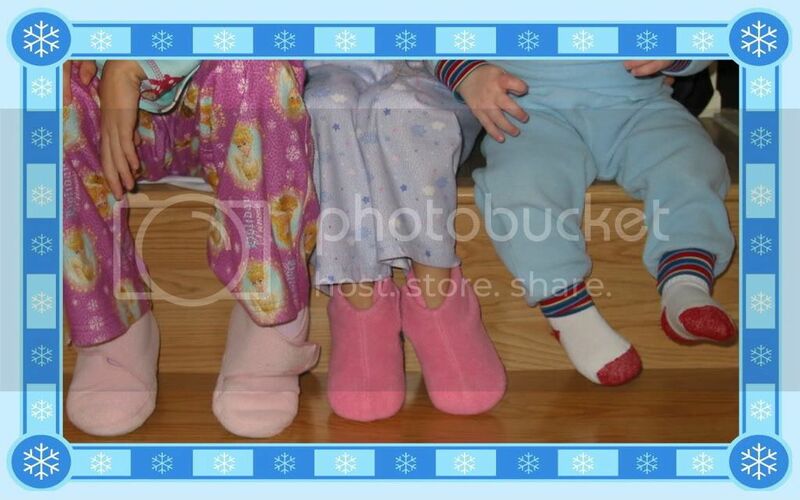 Now our kids are ages 14, 11, 9, and 7 -- our house is noisy, chaotic, and busy, but I wouldn't trade it for the world. You guys will do great! Also, thanks again for the 'Dangerous Book for Boys' that I won in your giveaway last fall. The kids loved it. Are you sure you want the answer to this question? 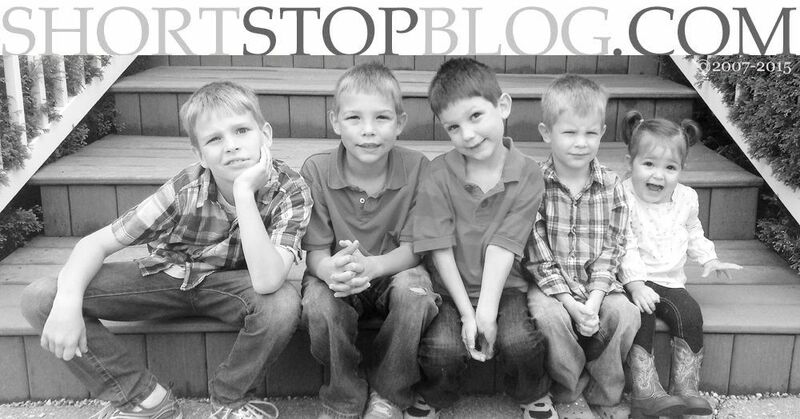 I have to agree with so many of your blogging friends in that my 3rd son has been the easiest by far. He's so laid back, and an easy baby. I keep saying that he's the kind of baby that makes you want to have another one. As you bring this new little one into your home I think you'll find that it will be natural for them to be there, that it will be easier than you thought, and that you'll be much more laid back too. And here's what I try to remember as I realize that my first 2 seemed to have more time & attention when they were infants, just due to not having as many kids...my 3rd doesn't know any different. I still do my very best to spend as much time with him also & I cherish the nursing with him even more because it's our time, but this is the position in your family that God has ordained them to have. Blessings my friend & I can't wait to hear what you have!!! I agree with many of the comments... it seems like the third comes along and kind of just fits right in and goes along with the crowd. I was the third of three (and only girl) and my mom said that about me and our family at that time and I've heard it countless times. I wish you all the best! How exciting! Oh, Sarah, your babies are so sweet! As you know, I'm in the midst of learning how to "do" three. For me, it has been very difficult. The being pulled in so many directions, the needing to just let the baby cry so I can feed the girls lunch, the constant feelings of inadequacy, the neediness of the older two, the expecting my oldest to be too responsible and helpful (she's only 3 for crying out loud!). It's been hard. I know I seem to be one of the only ones to say that. Maybe it's just me and my current, fragile emotional state. (new meds and weekly counseling have been helping tremendously!!) I can say, however, that as four months turns into five of having three, things are seeming to get easier. I see so many positive aspects of having three and the fun times are definitely outweighing the hard stuff these days. After all, the greater the number of children, means the more the amount of love in your home, right? As hard as it might be right now, I wouldn't have it any other way. Your two are precious and the memory of my two at that age brings gooey warmness!! I don't have advice for handling 3 but I hope to join you in learning what that is like!! I'm with most in that the 3rd was easier. Could be personality, gender, or even our own reactions, but 3 has been an easy adjustment. The only difficult things are: not as many volunteers to babysit from the GP's (3 outnumbers them!) and we never go out to eat with all of them, again...it's a numbers game! Can't wait to see the new little one!